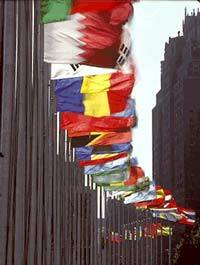 Hope the United Nations meeting in Germany this week proves fruitful as it is setting to pave a big way. The meeting will conclude on hundreds of projects to curb greenhouse gas emissions in Russia and Eastern Europe, industry executives said on Tuesday. Officials will meet on February 2-3 in Bonn to start mapping out rules for the Joint Implementation (JI) scheme. Devised under the international Kyoto Protocol, it is one of three mechanisms to achieve cuts in emissions and help tackle climate change. “The first meeting of the (JI) supervisory board is a huge step forward, it is very important,” said Paul Soffe, associate director of UK-based EcoSecurities, a developer of emissions-reduction projects throughout the world. It is to offer rich countries low-cost ways to meet Kyoto emissions-reduction goals, that the JI is designed. It is all by earning credits through investment in climate-friendly projects abroad. Under JI, investments must be made in countries with emissions reduction goals under Kyoto.